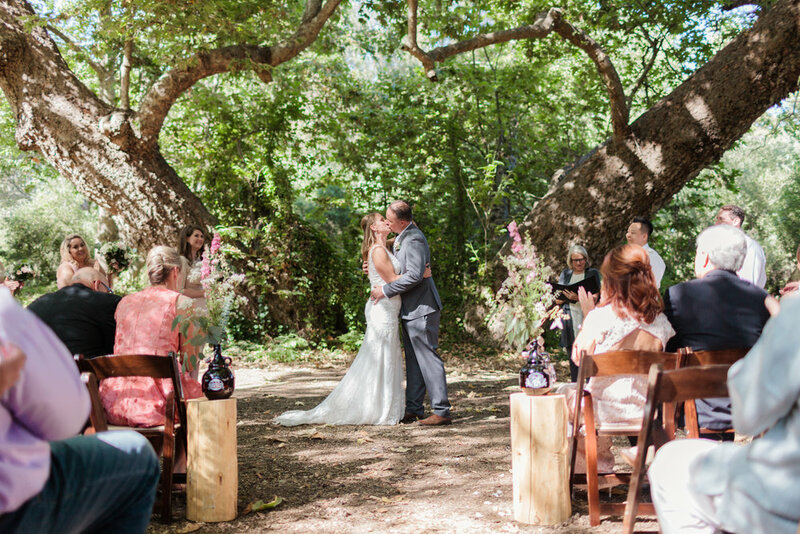 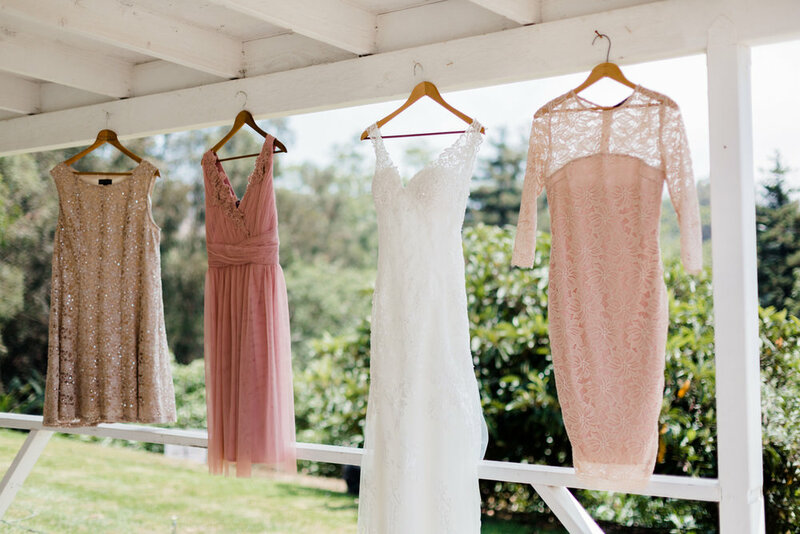 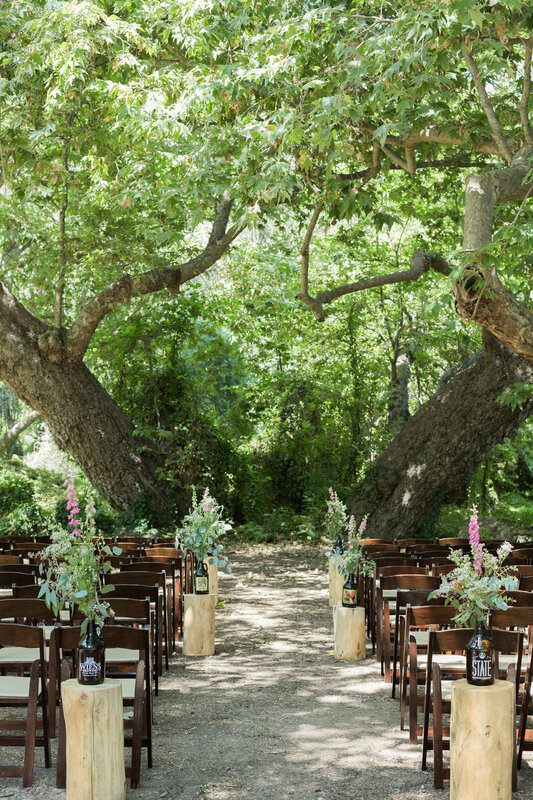 Carlee and Brian were married amongst the trees at Rancho Dos Pueblos in Santa Barbara. 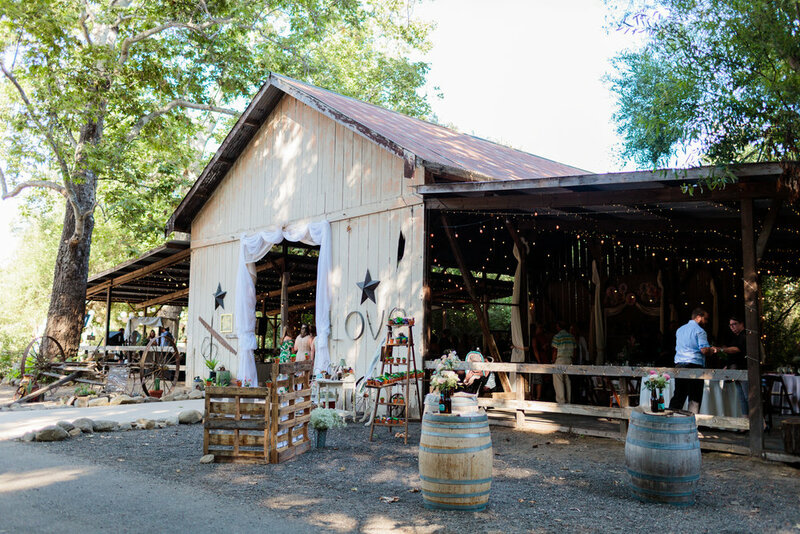 The ceremony was followed by a barn reception completely decorated by the couple and their friends and family. 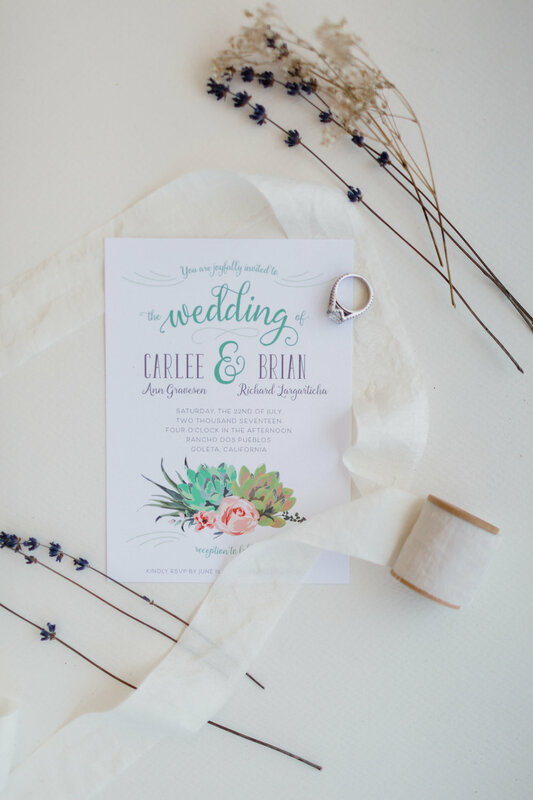 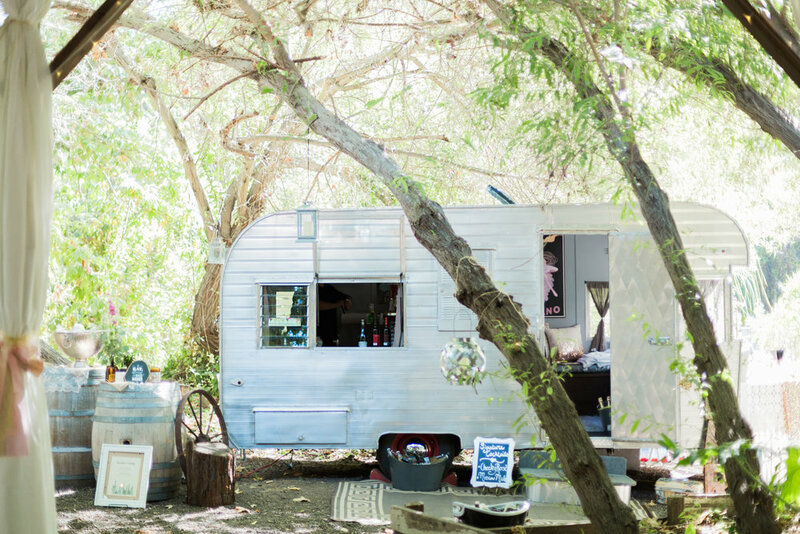 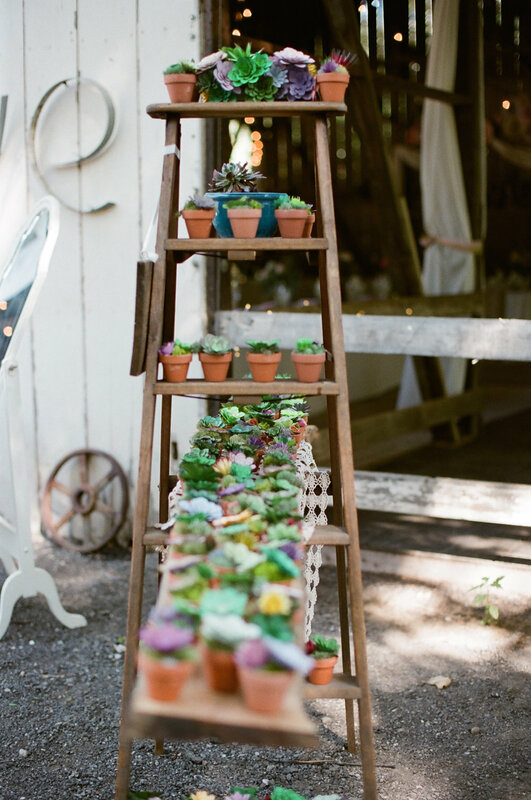 Every element of this wedding was DIY and inspired by Pinterest. 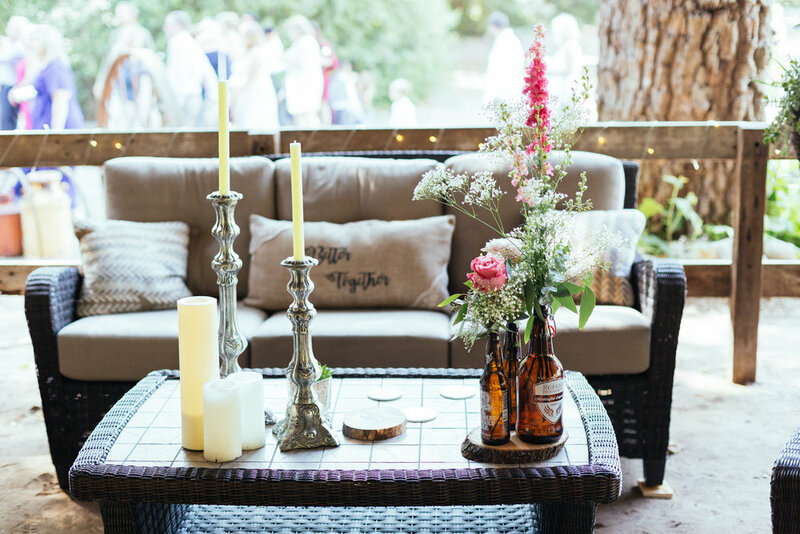 We love seeing all the details thought out by this bride and groom! 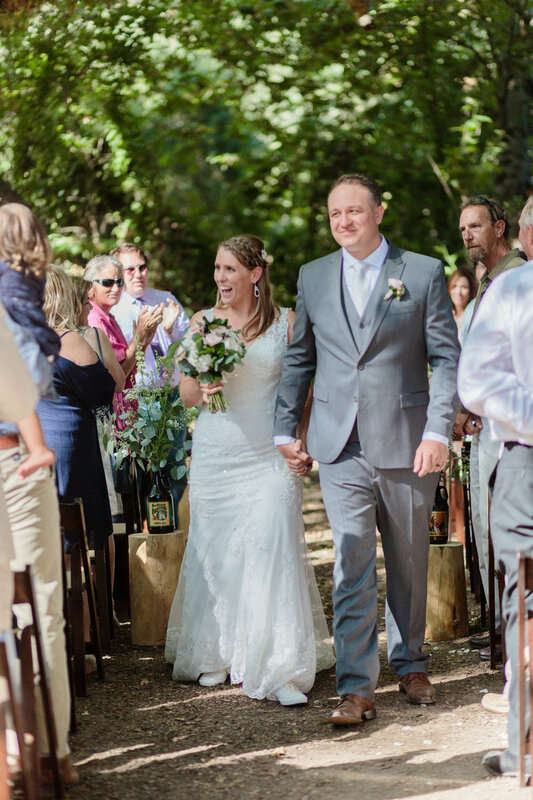 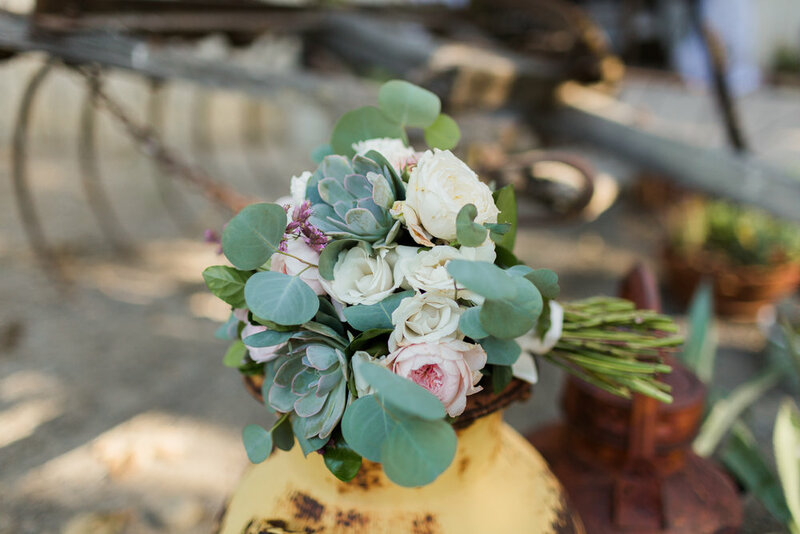 The flowers at the outdoor ceremony were held in bottles placed atop old wine barrels which only added to the charming rustic feel of the venue. 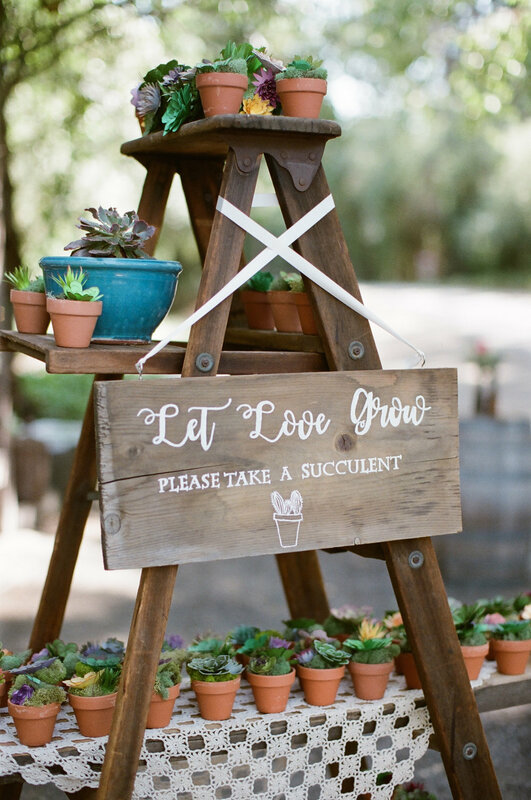 At the reception, the wedding favor table held a "Let Love Grow" sign to accompany the sweet little potted succulents for the guests to take. 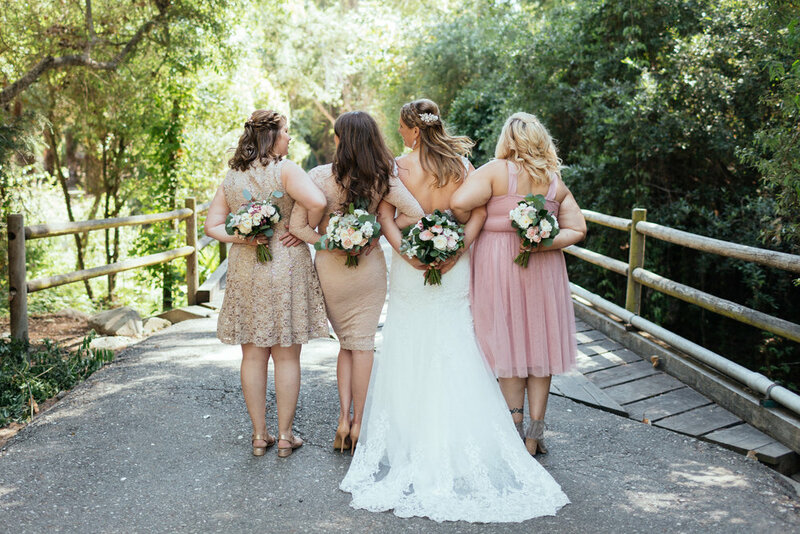 The couple chose a small two-tier wedding cake along with cupcakes from Enjoy Cupcakes for their guests to savor at the end of this special day!